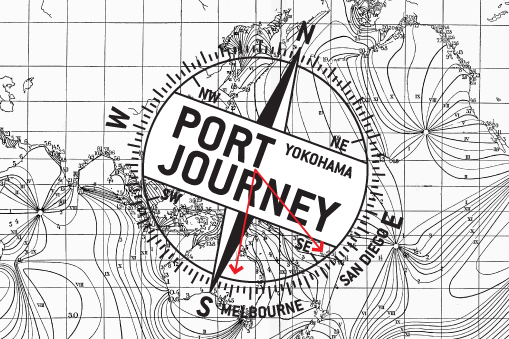 ZOU-NO-HANA Terrace is pleased to announce the port journey directors meeting to be held September 12–14 this year, under the PORT JOURNEYS platform, an artist-in-residence program connecting the city of Yokohama with other creative port cities around the world, including Melbourne, San Diego, Basel, and Hamburg. This program was inaugurated in 2011 and has been expanding steadily ever since. Through frequent discussions with the directors other facilities and institutions where there have been centers of unique artistic activity, through trial and error we have been testing out a program that would collaboratively support artists in these cities where there are notable and accelerating movements in "cultural strategy." As a way to strengthen this network and enable more frequent opportunities for exchange, we are inviting directors, artists and other interested parties to Yokohama for a conference where we will host a direct open dialogue toward the advancement of this project. Several exhibitions and culinary events are being synchronized with this conference and we are opening up the network to the general public as a way to encourage interest in contemporary art activity. DISCUSSION BY ALL DIRECTORS AND INVITED ARTISTS. MIKHAIL KARIKIS PERFORMANCE AND LECTURE, FROM "YOKOHAMA PARATRIENNALE 2014", TO BE HELD. SNACKS COURTESY OF HOST/EXHIBITOR MICHAEL KRESS. 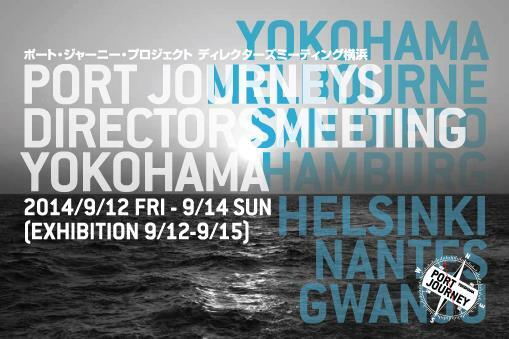 FILM EXHIBIT BY MICHAEL KRESS（PORT JOURNEY PARTICIPATING ARTIST,HAMBURG-TO-YOKOHAMA）. THE FILM WILL BE ON EXHIBIT DURING THE RECEPTION ON SEPT. 12. ZOU-NO-HANA TERRACE initiated the “PORT JOURNEYS” in 2011, to build relations upon an axis of cross-cultural exchange, through the collaboration of world port municipalities engaged in creative community development, cultural facilities, and artists. Yokohama’s ZOU-NO-HANA TERRACE has as its objective multi-dimensional and sustainable mutual exchange among artists, municipal administrators and cultural facility staff in each port city. Cities to be involved with this cultural exchange include Yokohama’s sister ports, and port cities having partner relations with Yokohama, and other creative port cities. With the globalization of the world’s economy and changes in economic spheres, there is a demand for cities to reconsider their traditional functions and reinvent themselves; it is in that setting that more and more metropolitan centers around the world are promoting community development with citizens and artists and creators at the core of their concepts. As a platform for the promotion of community creation, this project’s pursuit is the autonomous development of creative inter-city exchange.